P90X is a home fitness program developed by Tony Horton & Beachbody. P90X demonstrates a brilliant social design that is so successful that many Silicon Valley startups would envy it even today, a full decade after P90X launch. P90X is a home fitness program developed by Tony Horton & Beachbody. You can do P90X at home with simple exercise equipment, since it is just a big set of DVDs with different workout sessions. Over the years, it became widely popular – sales are rumored to be close to a billion dollars a year. On the surface, P90X may look like many other low-tech video exercise programs. However, on a deeper level, P90X shows a brilliant social design; a design so successful that many Silicon Valley startups would envy it even today, a full decade after P90X launch. This essay will explain how P90X ingeniously hacks human behavior to help people get healthier, seemingly against their own will. Positive facts about healthy exercise are so well known that it feels almost awkward to restate them one more time. Working out every day is good for you. The benefits are not just burned calories, toned muscle and increased stamina: a workout also increases your metabolism, which will last for many hours and give you extra energy throughout the day. Working out will release neurochemicals that will elevate your mood, make you alert and proactive. You can instantly make yourself happier and energetic just by including 30-60 minutes of exercise in your day. Given such a wide range of benefits for a small time investment, it should be an easy decision for everybody. Of course, this is almost the opposite of our day to day reality. The obesity epidemic shows no signs of slowing down despite our having a gym on almost every corner, myriad yoga studios and uncountable New Year’s resolutions. Like everybody else, I tried to solve this on my own: top tier gym memberships, extreme dieting, thousands of dollars worth of expensive exercise equipment, all of which were a total waste of time and money. After short bursts of activity, what always followed was the same lifestyle of a constant time crunch with too much bad food and too little physical activity. All I got from all these expensive experiments was a few occasional workouts and a quick regression to the past patterns. What I did not get was a real long-term result: a habit of healthy living. When the summer 2012 presidential campaign brought P90X into the national spotlight, I decided to give it a try. Even after just a week the results were nothing short of amazing. The mechanics of P90X are deceptively simple. Every day of the week you set aside an hour to workout in front of your TV. Every day you use different DVD to do a different workout. You keep the same weekly routine for 4 weeks, and then you switch to more advanced DVD set, and 4 weeks later to yet another one. P90X certainly packs a lot of content in that DVD box. Yet let’s not spend too much time on the low level specifics of P90X; what we want to understand is, why is P90X so successful at what it does? The first key to P90X’s secret formula is that you are very likely to complete the first week’s of training; there is an important reason why the first week is so sticky, which I will explain later. For now, just assume once you try the first P90X DVD you are very likely to complete the full weekly set. What happens next? Well, after you exercise intensively for one hour, day after day, the results are self-explanatory: you effectively have just became an athlete. Your muscle mass begins to grow. You rapidly progress along all athletic parameters. It is surprising how quickly the biological mechanisms kick in to reinforce your newfound good habits. Your body shape changes within the first ten days; it has been optimized for exactly that kind of physical activity by hundreds of thousands years of evolution. You start noticing muscles where you never knew they existed. A week or two later you feel as if some sort of powerful alien machinery has taken over your body: the brain is still used to your old body, and it is not yet used to the power that appeared literally out of nowhere. All of us possess so much growth potential hidden inside, that it takes just a few days to kick all that machinery into action. P90X works, and it works amazingly well. Tony Horton and his team certainly spent plenty of effort to figure out the right workout sessions, the nutrition plan and other critical details of P90X’s mechanics. Yet the most profound question to understand is why P90X makes so many people actually do the exercise every day, considering most of them did not make that hard choice before? Tony Horton and the merry crew at Beachbody did not invent the idea of a healthy exercise video & infomercial – there were many others before them. Why is P90X the one that won big and not the other fitness programs? Why not these “8 minute something” videos? Somehow P90X managed to persuade millions to include workouts in their busy modern lifestyle, and to do so every day: that is impressive. That level of massive modification of people’s permanent habits sounds just impossible knowing what we know about ourselves. Yet P90X did it, repeatedly and at massive scale. The real brilliance of P90X is not limited to showing us how to exercise smart. Workouts are the health-producing payload delivered by ingenious P90X social design, they are only the visible tip of P90X iceberg. What’s really going on is that P90X hacks your behavior to make you subtly yet surely change your habits. P90X is brilliant at it from the very first session. After a new initiate makes it past his first week, he will find the process becoming progressively easier. He will keep exercising, he will keep becoming more of an athlete, his performance will spike through the roof, and all the while he will be raving to all his friends about how amazing P90X is. They will buy more DVDs, and the viral loop will repeat itself in high gear. To understand what really drives P90X, we need to understand how P90X permanently changes people behavior. There is a big difference between things you do just once, do over a period of time, or do permanently. It is not that hard to do or not do something just once. It is very hard, almost impossible to start doing something new repeatedly and permanently right away. There is a big difference between unfamiliar behavior you have never tried before and familiar behavior. 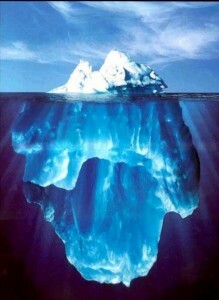 It is not that hard to go from familiar behavior to a related unfamiliar one at the same intensity. It is hard to change both behavior and intensity. It is not that hard to go from doing something once to doing it a few times: that will form a mild habit. It is not that hard to go from a mild habit of doing something a few times to permanently doing it. That’s where most traditional workout regimens and gym memberships fail: they expect us to go from zero “unfamiliar new behavior” to full strength “permanent repeatable behavior”, while all we are realistically capable on the first day is to do something just once, and strive to repeat it a few times later. With that knowledge at hand, let’s take a detailed look at the P90X process. Looking at P90X as a social product, it is easy for the professional eye to notice key components that make it so successful when compared to other health video products. Nowadays these components are well-known in communities that design new social and gaming products. Yet many years ahead of the modern explosion of social networks, P90X pioneered many of the techniques we used in digital products years later. Lets start from the very beginning. All startup founders know the initial “activation funnel” is one of the most critical components of a social product. The activation funnel is a process of converting an “unknown” user visiting your website for the first time to a registered user and hopefully a regular visitor. You never ever give users a reason to leave your website during the activation process. You try to find the minimum number of questions to ask, such as “what is your name?”, “what is your email?” and move the user as fast as you can to something she actually wants to do. P90X is treats new user in the same way. Tony immediately goes after everything you can use as an excuse to NOT exercise and throws it out the window. The P90X activation funnel is superbly clean. I really want to workout today. But it is a rush hour, I can not spend that extra hour going to and from the gym. Solution: Remove dependency on gyms. P90X can be done at home at any time. I do not have the equipment in my house; it is too ( bulky, expensive, hard to find ). Solution: Design the whole program to use extremely simple and common equipment: dumbbells or bands, push up handles and chin-up bar. All P90X equipment can easily fit into a backpack. Solution: Make working out as easy as watching TV. Cut out all the unnecessary time that surrounds the workout. Insert P90X DVD, clear out a little bit of space in front of your TV, and you are ready to go. The list can go on and on. What you notice as soon as you start P90X is how few reasons you have to NOT do it. All exercises and equipment are carefully designed to be easy and accessible in a confined space. P90X goes to extreme lengths to make its program requirements very low. If you have extra space you can use a set of dumbbells, yet if you do not Tony specially provisions every weight-lifting session with rubber bands – much more compact and travel-friendly device than dumbbells. Tony Horton spent two years trying to find the best combination of exercise and equipment, and it clearly paid off big time in ease of access. The accessibility of P90X makes it very easy to start. In startup terminology, this moves us past the “Activation Phase” into the next stage: “Retention”. We made our “user” exercise once or twice, but how we make him do it over and over? 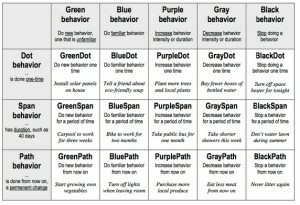 How are we going to go from doing something once to doing something a number of times within a given period, as a recommended pathway on Dr. Fogg’s behavior grid? At this moment, P90X unleashes the next component of its delivery mechanism: diversity. P90X comes on 12 DVDs. It’s a lot of videos. In fact, it is so much content that Tony is not going to use it all on you right away: the first 4 weeks will be a particular set of DVDs, with about 7 hours of total exercise time. That is still quite a lot of airtime for you to watch and actively participate in for a single week. As everybody knows, working out is not much of a problem by itself. It is the mindless repetition over time that leads to boredom and ultimately prevents us from forming a healthy new habit. Traditional exercise programs give you the boring routine they want you to follow and just leave you running in a moribund loop until you give up from the boredom. P90X leaves you no chance to get bored in the first few weeks. The first week is an overwhelming rush of new workouts, names, positions and techniques. The program diversity is astonishing: different forms of weight lifting, pull-ups, pushups, jump training, yoga and even a form of karate. Every day you learn something new. Your curiosity and sense of adventure are running high: what is going to be in store for me today? What is going to happen tomorrow? Instead of finding ways to avoid workouts, now you proactively move other activities around to satisfy your curiosity for the new bag of tricks Tony will unleash on you next time. At the end of the first week, your mind is totally overwhelmed by the new things you are learning. Your body is a painful wreck of muscles sore and strained by non-stop daily routine, yet boredom is last thing on your mind. You jump into the second week determined to figure out and master all these techniques you just discovered over the past week, and go over these again with at least minimal familiarity and do them better. The second week passes before you know it. Congratulations, new initiate. You just crossed over to the 2nd square on Dr. Fogg’s behavioral grid: going from the first workout to repeating same activity over the period of a few weeks. You just formed a new mild habit, had a blast doing it, and did not notice what was actually going on. P90X just delivered the second part of its ingenious payload. By the 3rd and 4th weeks you more or less know what you are doing. Routines became familiar. At that moment, Tony will use another technique to cement your newfound healthy habits. After week 4, you switch to the (much needed) recovery phase, which means: new DVDs! Great, you just unlocked the prize. Now you have new toys to watch and master. By design, the recovery phase contains lighter exercises, and you feel like an overachieving superman blasting through workouts. Excellent, you just unlocked another prize. By the end of the recovery phase, you have to start a new rotation, which again means more DVDs! Fantastic, you just unlocked your 3rd achievement. The virtuous circle begins again: curiosity, exploration, improvements and, finally, mastery. Many factors are now working in parallel to reinforce your new habits. Your body has begun to change for the better; you feel more energetic than you’ve ever been in your life. What used to be fat increasingly starts to become muscle. Since you already spent weeks figuring out how to include workouts in every day of your life, now your schedule is semi-adjusted for that activity; you know what tradeoffs you need to make to keep doing your daily fitness routine. At each workout, Tony drives home the need to write down your reps and weights. What initially looks like columns of confusing numbers after a few weeks become an eye-opening testimony of how far you can progress in so little time. 3 pull-ups become 10, then 20, and then you start thinking about 30-40 as the new normal. And that is when Tony resets the board again with hard new routines, like one-hand push-ups in yet another DVD. Looking at the scorecard becomes a big point of pride and a powerful motivator: can I beat last week’s numbers today? How about an extra challenge, can I beat them by 3-4 rather than just one? What a social design expert will instantly recognize is that many years before social gaming, P90X had all the elements of an addictive health game, with its own scoreboard, achievements and unlocks leading to new game content. These well known behavioral hooks are working hand in hand to cement the new reality of your life: you are working out every day doing intensive training and really enjoying it. Good products rarely fit neatly into easy top down or bottom up model. It’s always a lattice of overlapping and interconnected factors, all supporting each other. So far we have reviewed social design techniques used in P90X. What is impossible to reduce to a design component is Tony Horton himself, a critical and perhaps even the dominant factor in P90X’s success. His on-screen persona is superb. He is your buddy; he is here to help your exercise and find the routine that works for you. Somehow he always guesses exactly the right moment you are ready to give up, your muscles are burning, and tells you from the screen the thing you need to hear: “hey, don’t be a hero, take a mid-set break and then finish it”, “do it like this, that will make it easier on yourself”. The level of joyous hilarity he brings into the workout is impossible to overstate. His whole team is clearly is having a blast recording the workout. Tony is like a busy conductor orchestrating things: his own moves, his teammates, the forms they are showing, the invisible viewer presumed (correctly) to be in some stage of his muscle-induced agony. Tony manages to pull it all off effortlessly without a hint of the show being staged or scripted. The truth becomes obvious as you watch: there’s no staging – it’s just a great group workout with your new buddies. Tony manages to pull off one of the hardest tricks: he is not pushing you to watch the health fitness program. Instead, he makes you an avid viewer of a funny new TV series “The Tony Horton Show” that airs every day at the time of your choosing. You just have to watch the next episode. The level of personal charm and attraction it generates is impossible to overstate. If smart social techniques & great workout content are the hard steel framework of the P90X building, Tony Horton’s personality is what makes it so warm and welcoming inside. Given P90X’s brilliant application of the best modern social techniques, it is easy to forget how old the product actually is. It’s been over a decade since its inception in 2002. Its age is almost unnoticeable today, aside from the few rare moments when the helpful voice reminds you to insert an “Internet Support Disk” bringing back memories of a forgotten era. P90X remains widely popular. 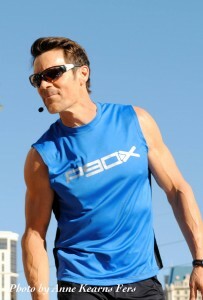 The sequel, P90X2, was launched in 2011. A few weeks ago the brand new P90X3 became available. I haven’t played with it yet; however, I’m sure Tony gives another amazing performance in these new sets. Yet all current P90X versions share one common weakness – the dependence on most common denominator technology of the past decade: the DVD disc. What would be possible for P90X if we re-design it from the ground up to leverage all the power of modern web, social and mobile platforms? There are innumerable ways how P90X can benefit from all these technological advances. DVDs have been on the way out for a long while. With all videos already moving to the cloud storage in a few years we probably won’t even have devices to accept physical media. In fact, the first thing I did with my P90X disks was to run them trough HandBrake to easily stream the videos to various networked Apple TVs around the house. Today such a house wiring might be typical only for Silicon Valley geeks, but in a few years it will be prevalent for all households. P90X will migrate to cloud hosting and stream content directly to any device owned by the subscriber. P90X will cease to be a physical product; it will become a destination portal that will merge all aspects of the program: delivering workouts, tracking progress, and sharing your achievements with a like-minded community. Every morning you will be able to login into your P90X dashboard that will know what day of the rotation you are on, what track sheet you need to use today, what videos are sequenced for today’s session. One of the startups experimenting in that direction is FitStar: it requires only an iPad as the single piece of equipment for your home workouts. P90X is pretty modular to begin with. “Abs Ripper X” is a plugin that is attached to the end of main workouts. Some segments include “bonus” parts if you feel particularly energetic or have extra time that day. The extra long “Yoga X” is effectively 3 yoga workouts combined into one. After monolithic DVD disks are split into small online modules, each with very specific workout profile, we can create products with fine-grained control of intensity and scheduling. As a simple solution, we can just give that control to the user via an online dashboard. An even more intriguing option would be to engineer a “fitness AI” that would understand user progress and then create a specific sequence of workouts for each day to get best results and maximize the variety. The P90X habit forming is profound, yet physical media puts a hard limit on its diversity. No matter how many clever rotations, DVD switches and variations Tony packs in that DVD box, by the 3rd month of the program there is just not enough content left to keep the same sense of curiosity you had in the beginning. Streaming P90X via modular segments can nicely solve that problem. What we all want later in the program is additional variety. We want more Tony, more “pterodactyl sounds” and more content. The same workouts recorded in different sessions with different groups would be a welcome change after the first segment’s routine sets in. Add to that a number of bonus segments to be unlocked based on your progress and seasonal specials (think Halloween or Xmas themed workouts), and the program variety would explode in a combinatorial manner. Just a few hours of extra footage would create a very welcome prize for the champions many months into the program. Speaking of which, lets talk more about the prizes. Game design is not hard to master: there are only a few well-known basic mechanics powering most online games. Every year, the gaming industry generates a huge amount of new content by packaging and re-packaging these time-tested constructs. P90X already has all the required ingredients of a successful online game. It’s easy to start and hard to master. It has a clear roadmap from easy early achievements (chair pullup) to hard “end game” challenges (corncob). There is a scoreboard tracking your progress. In the social environment of an online community, your personal reps score can become a big motivator. Huge amounts of video content are dedicated to the key component of any game: feedback on how to improve and reach a higher score next time. After earning enough achievements you unlock more content to play with. The only thing left to do is to tie in all these components into one digital product. Let people publish their personal P90X profile to share their achievements or to challenge each other in joint workout sessions. Offer bonus segments to unlock as users progress through the program. Give achievement badges for every small and significant milestone: first 10 pull-ups, first 5 one-hand pushups, 4 weeks with not a single day of exercise missed, etc. There are endless possibilities to create engaged online community by opening the system to peer pressure, awarding achievements, unlocking prizes and hidden content. Social motivation is a very powerful force yet it is largely absent from P90X today. For social motivation to work we must expose user workout activities to each other, which leads to explore “user generated content”, or UGC for short. The well-known rule of UGC is that the majority of UGC is very bad and would not hold a candle to professionally produced content – like P90X itself. What usually makes it work is a dynamic system that constantly surfaces to the broader public the top 0.1% content that is entertaining to watch. That in turn requires a huge audience to create a sufficient mass of raw content so that crowd rankings can put the best material on the top. P90X certainly has an audience and the numbers to make such an approach work. Enabling members to share webcam streams of their workouts to join fitness groups would ferment social ties and build new friendships. Ratings of user streams should help to surface the best UGC and can become an additional source of content to add variety to users’ daily routines. A user-created library of workout videos can become a very powerful complementary source of content for P90X’s online portal. Real time streaming coupled with a dynamic organization of workout groups would be an engaging center of activity on top of P90X’s static segments. One company that is taking the social motivation factor to the extreme is FitMob (disclaimer: I’m one of the advisors). The company is very young yet it’s already making big waves in San Francisco’s fitness scene. 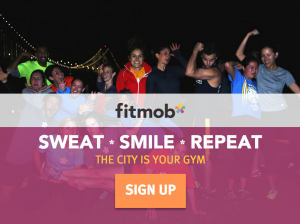 FitMob delivers unique workouts with top trainers in your local neighborhood: the city itself becomes your social gym when you join this fun fitness community. Completing P90X is certainly a transformational experience. P90X’s brilliant design solves the biggest problem of how to permanently change people’s habits to live healthier lifestyles on a massive scale. Needless to say, if you haven’t found the fitness system that works for you go ahead and try P90X to see if it changes your habits for the better. For product designers, it offers another powerful lesson: you do not need the greatest & latest technology platform to transform the lives of millions. All you need is a brilliant concept, lots of hard work to fine-tune the details, and a pack of old school DVDs. Many thanks to Raj Kapoor, Kevin Gao, Sami Inkinen, Elliott Wolf, Sizhao Yang for reading the draft of this essay and valuable feedback. 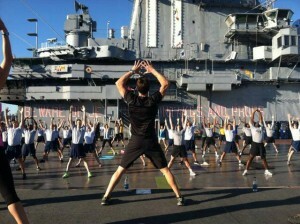 And of course very special thanks to Tony Horton for coming up with the whole shebang. This entry was posted in Digital Health, P90X, Startups and tagged Activaton Funnel, Digital Health, FitMob, FitStar, Fogg Behavior Grid, Game Mechanics, P90X, Social Design, Social Motivation, Tony Horton. Bookmark the permalink.